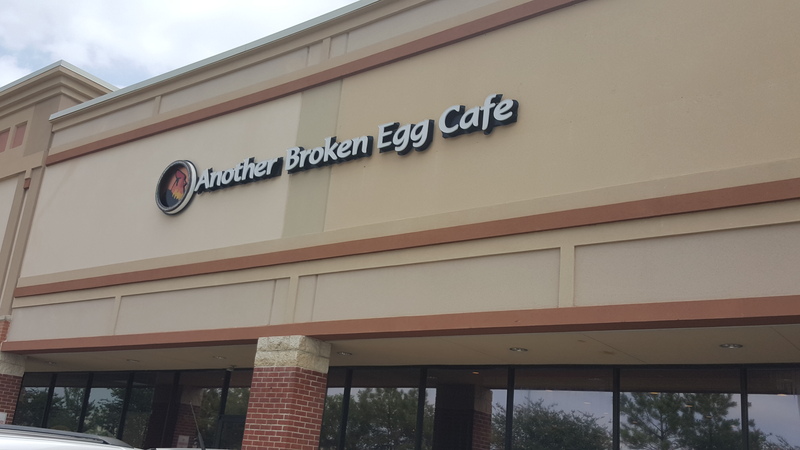 We decided to visit Another Broken Egg Café’s new Pearland location for Sunday brunch. We tried to make reservations, but they don’t accept them on weekends. However, the gentleman over the phone said our wait shouldn’t be longer than about 10 to 15 minutes. So imagine our shock when we arrived Sunday at 11:30am to find a line of people outside the door of the restaurant. To be fair, this was their opening weekend so we anticipated a bit of a wait … just not the 1 ½ hour wait we were greeted with. We decided to stick it out because we had heard such good things about the food. When we were fortunate enough to finally be able to wait on the benches inside the restaurant, the hostess told us they’d be bringing out fresh complimentary beignets. So that was exciting … until the worker bringing them out inadvertently ran into one of the other hostesses and you can guess what happened next. Beignets, powdered sugar, marmalade and broken plate pieces all over the floor. And this was right where people entered/exited so it became a nuisance for people to step around. And it took entirely too long in our opinion to get the mess mopped up, or at the very least, a wet floor sign. After literally just over an hour-and-a-half, we were ushered to our small two-seater booth (note: this was a tight squeeze for two adults and purses) and surprised to see at least four empty tables/booths already prepped with silverware. We wondered why in the world they hadn’t seated people there already. Clearly there were some operational issues they needed to work out. Our waitress was friendly and took our drink orders right away. She even brought out a fresh batch of beignets that actually made it to our table. 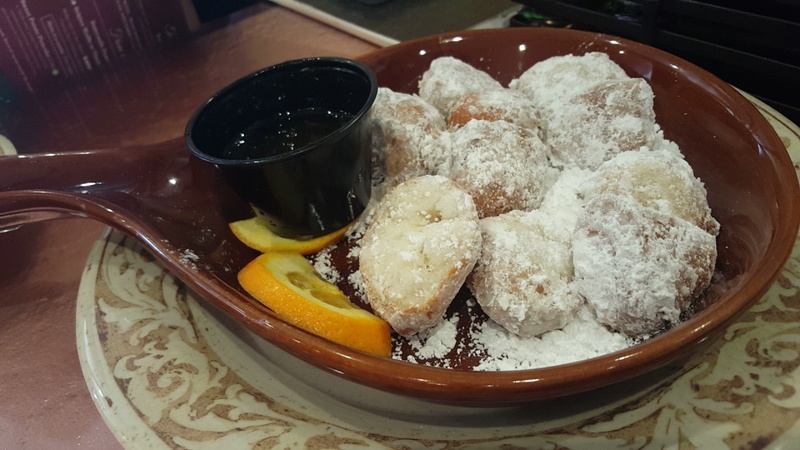 They were delicious – reminiscent of the beignets in New Orleans. 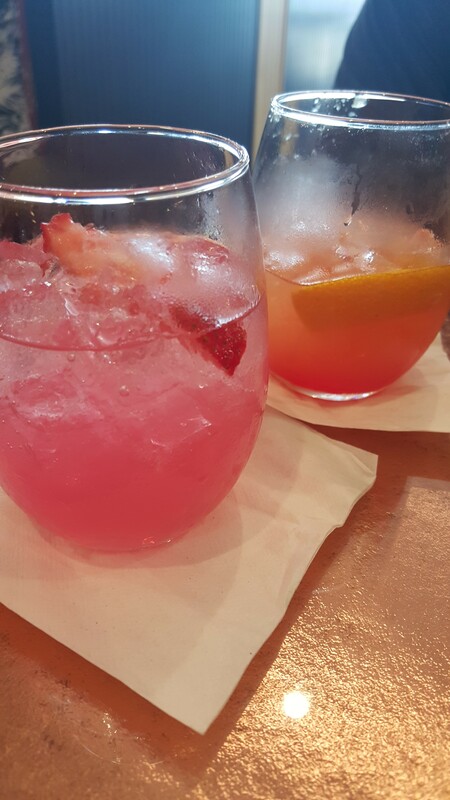 However, when our drinks arrived, our glasses were far from full – Val’s was ¾ full and Kim’s was just ½. When we commented on the beverages and how they didn’t quite look like the pictures on the menu, the lady who brought the drinks said that wasn’t the first time she’d heard that from a customer that day. Hmmm, so maybe skimping on the drinks was normal? You judge for yourself. Again, they tasted great, just wasn’t enough of them! Now, on to the food. 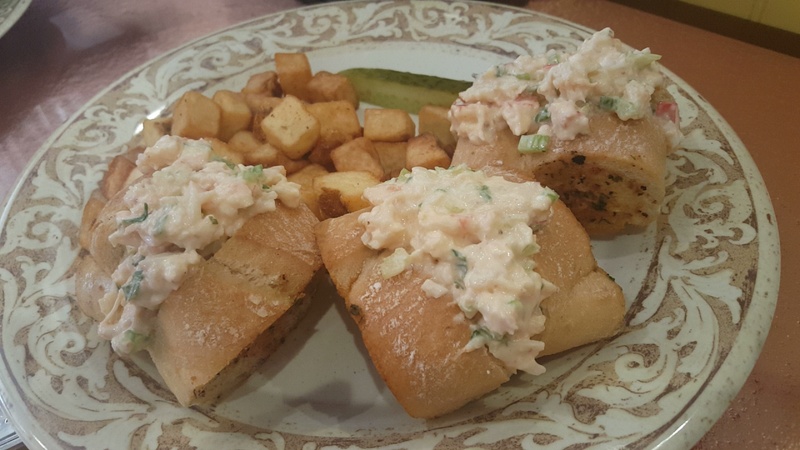 Val ordered the lobster and shrimp roll sliders and Kim had the southern crabstack. And this is where Another Broken Egg Café redeemed itself. Aside from the delicious beignets we had, the food was delectable. The seafood was flavorful and presented well. Both of our meals were served with seasoned country potatoes. And they were seasoned to perfection. No additional salt or pepper was needed. Meals were appropriately proportioned for a brunch serving – not too little, not too much – and we still managed to take home containers of food. Guess we can blame the complimentary beignets for filling us up beforehand. Overall, we truly enjoyed our visit to Another Broken Egg Café. The food and drinks tasted divine. 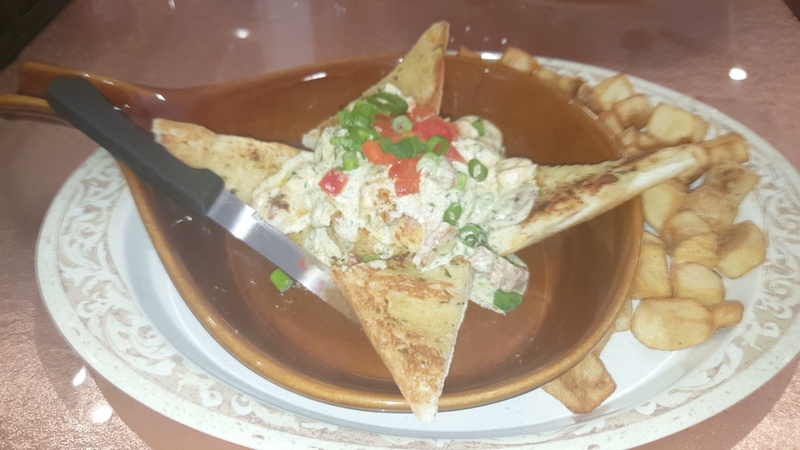 We actually saw some other menu items we’d like to try next time. Our advice: we suggest giving it a few weeks, so that they work out all the new restaurant kinks first. 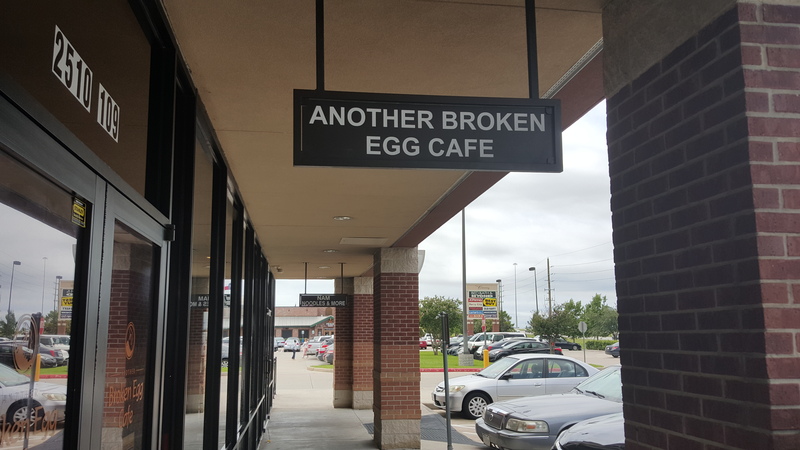 Another Broken Egg Café is located at 2510 Smith Ranch Road, Suite 109, Pearland, TX.